For some applications, for example in vehicles or battery operated applications, an output signal is required which can be operated at low power to enable a long service life. 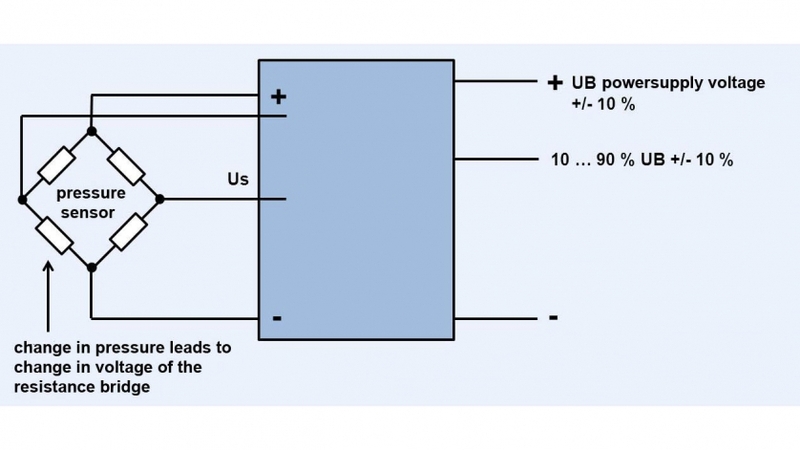 Normally, ratiometric signals are transmitted as 10 … 90 % of the powersupply voltage. No internal reference voltage is generated in devices with ratiometric output and all components operate in proportion (“in ratio”) to the current voltage. As the components required to generate the internal reference voltage are omitted, the power requirements for the electronics are reduced.